Shadowcat Systems has become the first Platinum Sponsor of a Kickstarter project whose eventual aim is to save Undershaw from being sold and developed. 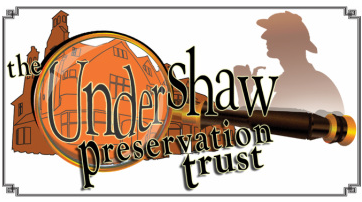 "Undershaw, lies in disrepair and the threat of being destroyed forever. Commissioned by Sir Arthur Conan Doyle himself, Undershaw was witness to the creation of many of his most famous works, including The Hound of the Baskervilles and The Return of Sherlock Holmes. It is a building deserving preservation for the British nation, and indeed the world, for all time. Sadly, the building is currently under threat from the property developers who wish to divide the house"
The people at MX Publishing created the book: The Empty House (http://www.bookdepository.co.uk/Sherlocks-Home-Empty-House-Sherlock-Holmes-Fans/9781780922256) to help raise funds to preserve this important and historical building for the United Kingdom and Holmes fans across the globe. Most of the Shadowcat Staff are fond of Sherlock Holmes (and in the case of one of our staff it is a long time love) and it is an interesting project to be involved with, supported by a number of famous people who are liked here at Castle Shadowcat. Keep an eye to our news and Facebook page (https://www.facebook.com/ShadowcatSystems) for more information.